With anti-gerrymandering efforts gaining steam, Republicans in some states are mobilizing to protect their ability to continue rigging election maps. In late April, a Republican group backed by the Michigan Chamber of Commerce sued to keep a popular redistricting reform measure off the state’s November ballot. Arizona’s GOP-controlled legislature last week narrowly failed to pass a bill that would have given the party much more control over the map-drawing process. And Pennsylvania Republicans, who recently mulled impeaching a group of state judges who struck down their gerrymander, this week gutted reform legislation. Following the 2010 Census, the GOP used its control of key redistricting battlegrounds to draw district lines that have given it a major advantage in elections this decade. In response, voters frustrated by recent elections’ skewed outcomes have launched grassroots movements to fix the process before the next round of legislative and congressional map-drawing gets underway in 2021. The biggest battle, of course, is at the Supreme Court, which since last fall has heard two different challenges to partisan gerrymandering and could issue a major ruling on the issue in the coming months. And the GOP has joined the fight there, too: Among the groups that submitted briefs to the court arguing in favor of protecting lawmakers’ right to gerrymander are the Republican National Committee, the National Republican Congressional Committee, and the Republican State Leadership Committee. But it’s the state-level efforts that lately have taken center stage. Late last month, a Republican-backed group, Citizens Protecting Michigan’s Constitution (CPMC), sued to block a proposed constitutional amendment that, if approved by voters, would create a 13-person independent redistricting commission to redraw political maps. The commission would be composed of four Democrats, four Republicans and five “non-affiliated,” independent members. In Arizona, Republicans have for months been working to upend the state’s independent commission, which is seen as a national model for creating fair maps. The GOP-controlled legislature sought to revamp the commission with a ballot initiative that would increase the number of members from five to eight, give lawmakers more control over the pool of commissioners, and bar the practice of drawing districts with slight differences in population size, which experts say currently makes it easier to draw districts with non-white majorities. Democrats and advocates for fair maps said the changes would allow Republicans to slip in more of their ideological allies, and could lead to less minority representation in the state legislature. The bill easily passed the House last week. But it unexpectedly failed in the Senate by just two votes on Thursday before the legislature adjourned for the year, meaning it won’t be on the November ballot. Then there’s Pennsylvania. 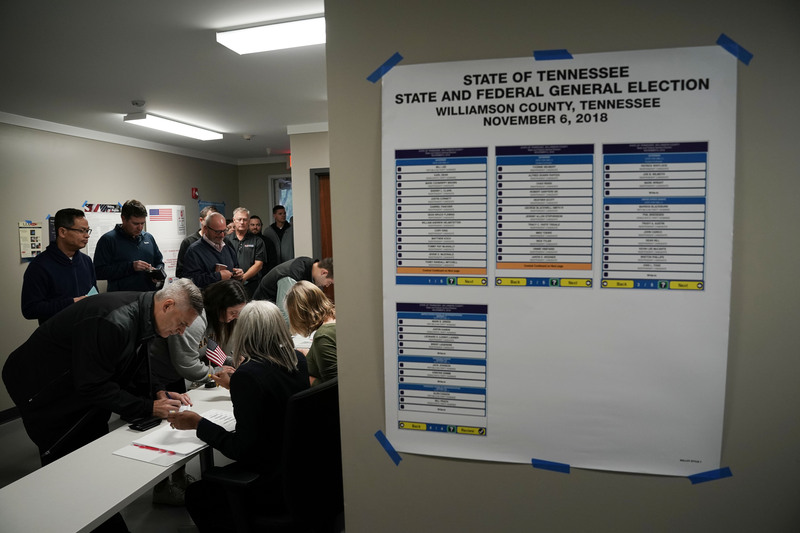 The state Supreme Court ruled in January that the state’s Republican-drawn maps were unconstitutionally gerrymandered, and asked an independent expert to draw new ones. That led a group of GOP lawmakers to file impeachment resolutions against four of the Democratic justices. Two subsequent bipartisan legislative efforts to take control out of Pennsylvania lawmakers’ hands and turn it over to an independent redistricting commission have been gutted by Republicans on a key legislative panel. More anti-reform efforts could be on the horizon. In Missouri, a reform measure just qualified for the ballot, and the signature-gathering deadline is drawing near in Utah.